How Does the Venus Flytrap Reproduce? The Venus flytrap (Dionaea muscipula) not only consumes insects for food, it also needs insects for pollination to make a new generation. In order to attract the insects, the mature Venus flytrap will grow a very long stalk so that the insects won't get accidentally eaten. On top of these stalks grow white flowers that secrete sweet-smelling chemicals, pollen and seeds that are 1 mm long. 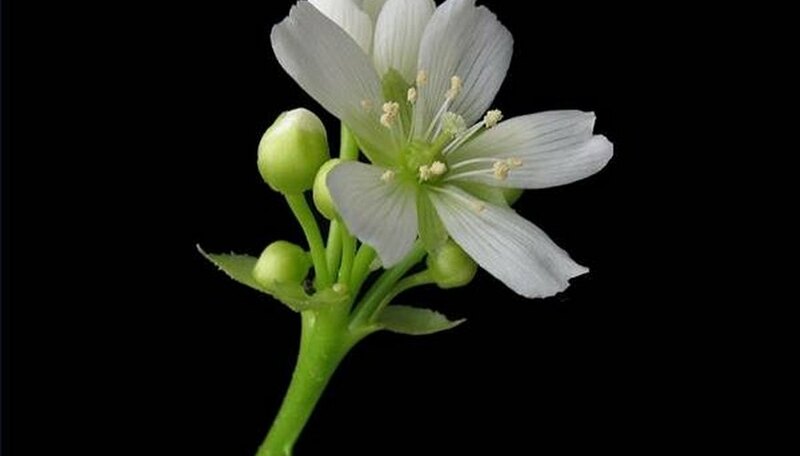 The Venus flytrap has to be several years old before it has enough energy to devote to making flowers and seeds. 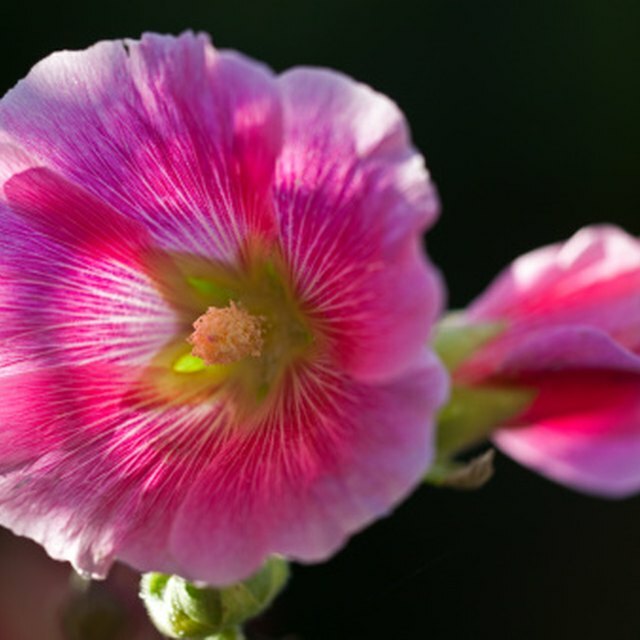 The insects attracted to the flowers walk over the stamen (the male part of a plant located at the tips of the filaments) and transfer that pollen to the pistil (the female part of the flower located deep in the center). Gardeners can fertilize their Venus flytraps by taking a cotton swab, rubbing the fuzzy stamen and then rubbing that pollen in the pistil. In a few weeks, the flowers die, but the fertilized seeds remain, drop into the soil and grow. The Venus flytrap also has another way of reproducing which doesn't involve flowers. If a leaf, still attached to the rhizome has fallen into the soil, it will grow into an entirely new plant. In the wild, a Venus flytrap's root system will eventually grow so large that rhizomes will begin to split off from the mother plant and grow into mature plants. 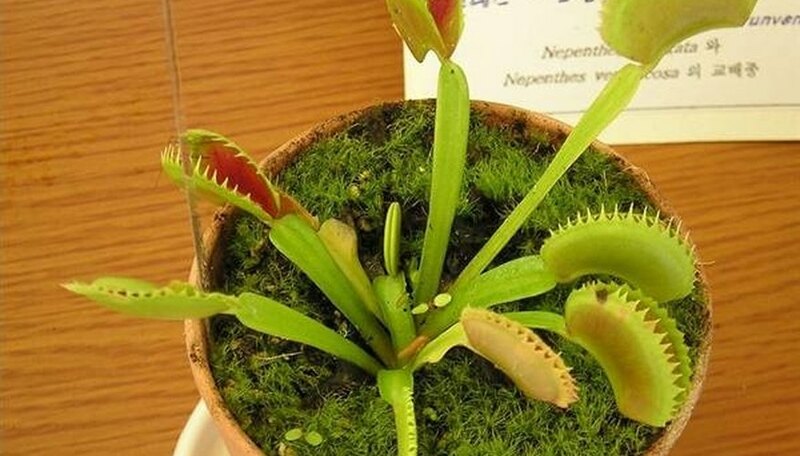 According to FlyTrapCare.com, a Venus flytrap only needs to be one or two years old in order to reproduce like this. Sherwood, Rena. "How Does the Venus Flytrap Reproduce?" Sciencing, https://sciencing.com/venus-flytrap-reproduce-4911676.html. 24 April 2017.